Our littlest guests are VIPs too! The resort’s personalized services now extend to the youngest members of the family! To help create the most comfortable family vacation experience possible, our skilled Baby Concierge provides families with all the basic comforts of home; helping keep babies happy and allowing parents to relax in paradise. 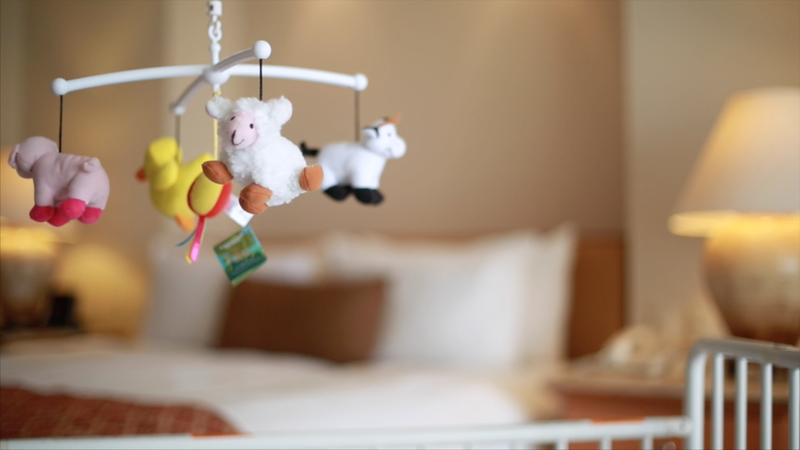 Products shown here have no extra cost and are exclusively for use during your stay; items such as bottles, teethers and pacifiers are a gift from the resort. Products may be subject to change according to availability. This is another great way to pamper little guests and create great family memories; a special first hair cut experience in a luxurious setting with all amenities for total comfort. This service comes with a certificate celebrating this important milestone. *Available at Grand Velas Riviera Nayarit only. Additional charges apply. Certified, specialized nannies can care for children while adults enjoy the various bars, gourmet restaurants or treatments in our world-class Spas. This service is available upon request and at an additional charge.